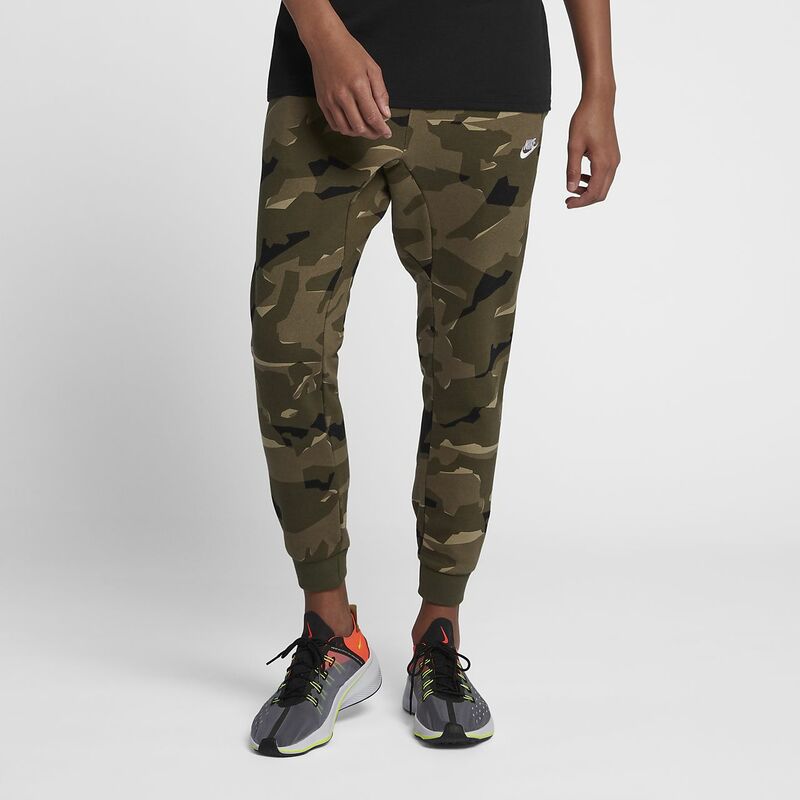 The Nike Sportswear Club Men's Camo Fleece Joggers feature soft fleece fabric in a tapered profile for streamlined comfort. The Nike Sportswear Club Men&apos;s Camo Fleece Joggers feature soft fleece fabric in a tapered profile for streamlined comfort. Fleece fabric is brushed back for a soft feel. Elastic cuffs help keep the trousers in place. Adjustable waistband stretches for a snug feel. Fabric: Body/side pocket palm side: 80% cotton/20% polyester. Pocket bags knuckle side: 100% cotton. Have your say. Be the first to review the Nike Sportswear Club.